Pasta is a staple in many households but leaves most people feeling stuffed and lethargic after eating due to the high starchy carbohydrate ingredients. Luckily, there are lots of alternatives to traditional noodles if you’re looking to keep your meal plan interesting. 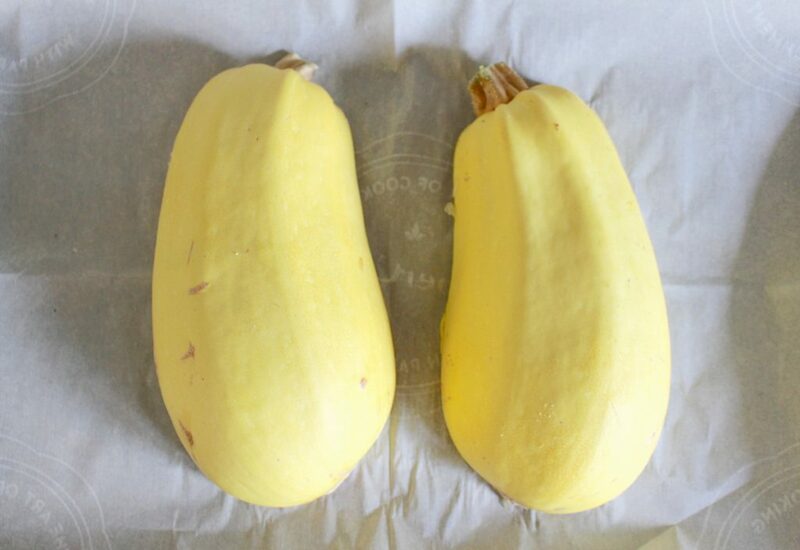 This spaghetti squash recipe is a delicious option, plus the recipe is quick and easy to follow. Along with garlic, tomatoes, and eggplant, this recipe could become a regular addition to your kitchen menus. Please, please let us know if you try it out and how you like it in the comments below! Slice spaghetti squash and place cut side down on a baking tray. Slice eggplant in half lengthwise, and drizzle with olive oil. Place on the same baking tray as the squash face side up and place in the oven for 40 minutes. Meanwhile heat olive oil in a pan gently, add onions saute for 2-3 minutes, add garlic and saute for another 2-3 minutes. Add salt, chilli, basil, oregano, rosemary and/or thyme and red/white wine to the onion mixture and saute until wine absorbs. Add tomato puree and bring to a light boil. Add lentils to the sauce mixture and let simmer on low to medium heat for 40 minutes or until letils are fully cooked. Remove squash and eggplant from the oven when fork can be inserted straight through. Slice eggplant and add to the tomato sauce mixture. 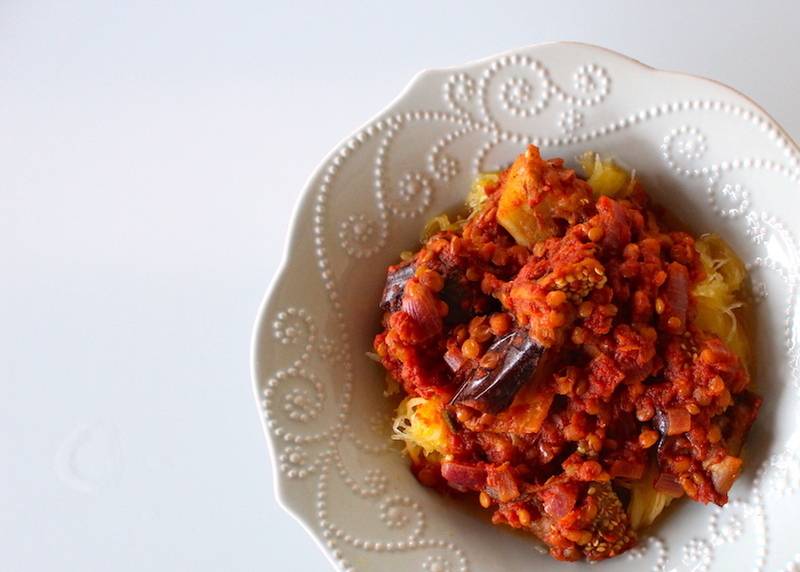 Use a fork to scrape spaghetti squash into individual bowls and top with tomato sauce mixture.